From beginners to experts you can learn to utilise your thermal imaging cameras effectively and efficiently with this niche one day introduction to thermography course. Learn all of the basics of thermography with this single day course! Designed to give complete beginners to thermal cameras sound knowledge on how they operate and how they are used, this course includes technical theory, demonstrations, hands-on camera training and practical exercises. 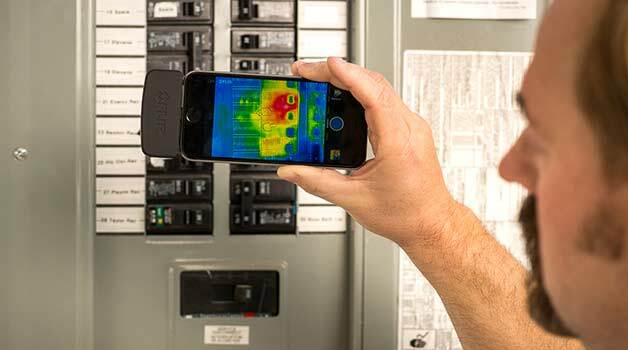 The course includes approximately two hours of hands-on experience with thermal cameras. Delegates will be able to view a wide variety of different materials using the cameras to see how the type of material has an effect on temperature readings. This course is best suited for those looking to gain a sound understanding of thermography before taking part in Level 1 Thermography Training. Upon completion, candidates will have a sound understanding of how to use entry level thermal cameras such as the FLIR E4, E5 and E6.